Leading Galway estate agent DNG Maxwell Heaslip & Leonard brings to the market a wonderful three bedroom townhouse, located on the famous Long Walk in the centre of Galway city. 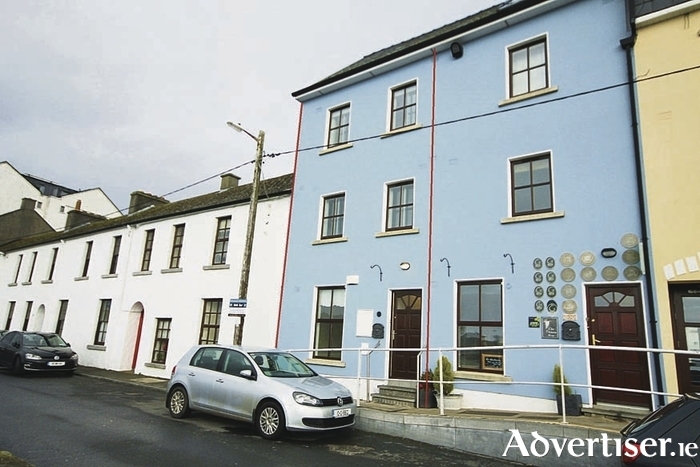 Comprising approximately 900sq ft of living accommodation, No 16 The Long Walk, Spanish Arch, offers views of Nimmo’s Pier and The Claddagh from each room in the house. Presented in immaculate condition and finished to the highest standards, the property was built by the award-winning builder O’Malley’s, and is spread over three floors comprising an entrance hall, a spacious kitchen and living area on the ground floor, two bedrooms and a main bathroom on the second floor, and the master bedroom on the top floor, complete with en suite bathroom and a separate walk-in storage closet. The property has the added benefit of a private secure parking space. Part of a fully managed development, the house is adjacent to the historic Spanish Arch and a short stroll from the vibrant Latin Quarter with a host of restaurants, bars, and cafes from which to choose. This unique city centre residence is a must for the discerning city dweller who wants to be near it all. Viewing is by appointment only and can be arranged by contacting any of the residential sales team at DNG Maxwell Heaslip & Leonard on 091 565261.